Dubai, UAE, June 04, 2018: We all know that a perfectly painted pout can help pull any look together, especially when done using a vibrant and matte liquid lipstick. However, liquid lipsticks have the reputation of being unforgiving on the lips, as they can feel drying and accentuate any lines or textures on the lips. 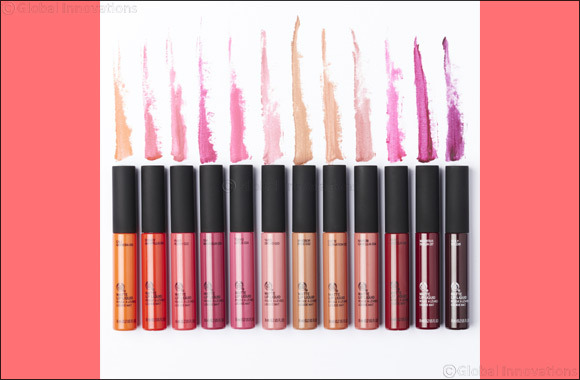 Introducing The Body Shop's Matte Lip Liquids, the creamy matte lip liquids with a mango fragrance that provide intense colour with a velvety matte finish without the drying feel.